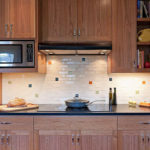 Norm Smith started Hazel Point Company with the idea that a remodel is not judged only by the quality of the end product. Trust: Being able to trust that your money is being spent wisely and in accordance with your wishes (budget). Quality: Knowing that all of the work you are paying for is high quality work. Predictability: The only surprises you get are good ones. The owner Norm Smith is the project manager on all projects. 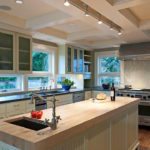 Each project has a site superintendant that is also the lead carpenter. Each project has a laptop computer on site for communications with owner, architect, and interior designer. Norm has spent 28 years in the construction industry, starting on a jobsite crew and working his way up to running multiple remodeling projects. In 2001 Norm started Hazel Point Company. Norm has been on the Board of Trustees of the Agros Foundation and is currently on the Board of Trustees of the Seattle Waldorf School.” In his free time Norm enjoys running, biking, tennis, golf, and squash. Norm and his wife have 3 grown children.